People with titles and company bosses who didn’t pay income tax or became bankrupt. People with titles and company bosses are among 326,000 Malaysians who are barred from leaving the country, according to the deputy director-general of Immigration Sakib Kusmi. He said many of them were barred because they had been declared bankrupt or had not paid income tax. Data from 13 agencies up to Jan 21 showed that there were 683,000 people, of whom 326,533 were Malaysians and the rest foreigners, who were restricted from leaving the country. “There are indeed many cases of VIPs and VVIPs blacklisted,” he was quoted by the Daily Express as saying. “Most of them don’t even know they have been blacklisted and have either forgotten to pay their income tax of failed to repay large bank loans. “Some only learn about their travel status when they want to go on pilgrimage. But they will not be given special treatment when they are detained and they will not be allowed to travel abroad until they clear matters pending with the respective agencies,” he said. Blacklisted individuals, he said, would only be allowed to travel abroad if clearance was obtained from the respective agencies. Special cases would be considered if the applicant was able to provide a satisfactory explanation. For example, if a company chief exeutive blacklisted for forgetting to pay his income tax had an important meeting abroad, he might be able to make a special request to the Inland Revenue Board with the assurance that he would pay up when he returned. Others on the blacklist are those wanted by enforcement agencies, some as a result of court orders. The highest number of blacklisted Malaysians came from the Insolvency Department (189,780); followed by the Inland Revenue Board (78,158) for unresolved tax matters; and the National Higher Education Fund Corporation (29,398) for failure to repay education loans. There were 12,950 blacklisted for flouting Immigration laws; some had lost their passports up to four times in a year; and some had violated a foreign country’s Immigration laws, such as by overstaying or abusing their travel visas. The police and Prisons Department had barred 7,125 and 314 respectively. The EPF had barred 7,104 Malaysian company directors for failure to pay arrears of workers’ contributions; Customs blacklisted 1,180 for smuggling, the courts (409) and Malaysian Anti-Corruption Commission (69) for criminal offences and corruption; Bank Negara Malaysia barred 45 and the Securities Commission blacklisted one person for criminal breach of trust. Sakib said to combat misuse of passports, the department was looking into imposing a heavier penalty and fine on those who frequently lose or mishandle their travel documents. “Under the new plan those who lose their passports more than once will be made to pay a hefty fine and wait for a longer period for a new one,” he said. 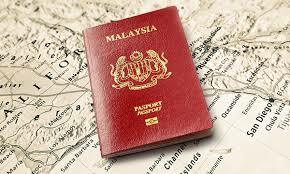 Anyone who loses their passport must currently wait between two and five years for a replacement. Those who have lost their passports three times in a year will have the document suspended for five years.